One of the really amazing things about the biannual eclipse season (the next one is Sept-Oct) is that it opens a series of portals. These portals ratchet up every human’s intuitive powers! Woo hoo! Already I’m no intuitive slouch, but every time these portals hit, I can feel myself getting even more powerful: my gifts expand, become more refined, and new ones get added. Amazing! What I’ve also been noticing is that for some people, these ever-increasing intuitive powers are uncomfortable. I’m not just talking intellectually uncomfy (denial, confusion and anxiety have been the case for years for many of these intuitive nay-sayers). I’m talking physically. The disconnect between who they are called to be and who they insist that they are–still smaller, still unsupported, still a victim–is showing up as nausea and dizziness! That’s probably not you; if you’re following me, you’re all about rocking your intuition. AND, it’s important to keep pace with your ever-increasing intuitive powers so that you don’t get woosey at the next time these portals hit in September. This ever-stronger access to our intuitions is GIVEN to us, and it’s up to us to keep pace. If you’re looking to strengthen your intuitive muscle–so that you can always be guided to be in the right place at the right time, to know what to say “yes!” to and when to say “no, thanks” as well as for preparing you for the next set of intuition-boosting downloads–I’ve got you covered. The Next Level Intuitive Training Call was Saturday 25 April at 2 pm ET. When you register below, you’ll get full access to the replay–no lines, no waiting! Q&A call for this Tuesday 28 April at 4 pm ET. Come to the call (live on the phone or via webcast) and I’ll be there to answer all your questions. And I really do want you to bring the “toughies” because RIGHT NOW is when we really need to be building that new intuitive muscle we were gifted with a few weeks ago. Here’s the thing: humans are a bit like cell phones. When you wait too long to update your operating system, things start to go haywire. Applications get buggy or just plain stop working. It takes more energy to make things happen in that less-than-optimal state, so the battery life is diminished. Pretty soon you’re so frustrated that you’re finally ready to upgrade, but by then a new system has come out and you CAN’T. Because you can only upgrade from one system to the next. Our intuition upgrades that we’re experiencing twice a year in the eclipse seasons, and which will continue for the foreseeable future, require us to keep pace with the expanding energies. If we don’t start operating according to the new system in place, before too long another upgrade will come along and it will be difficult, if not impossible, to catch up. I don’t want that for you, or anyone you know. 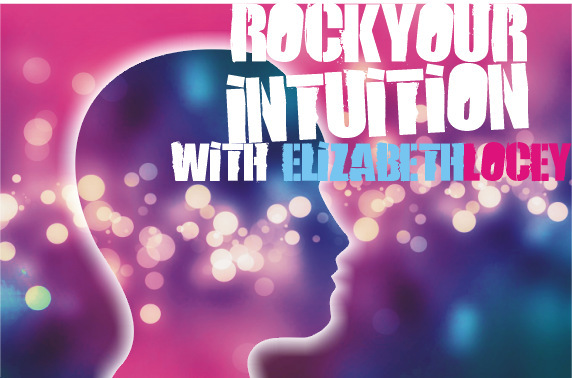 So I invite you to join me this Tuesday for the Next-Level Intuition Training Q&A Call, and to listen right away to the Training from Saturday. We had a blast testing out some of my favorite exercises in a group setting, and I loved giving you the bare bones of all the ways I know to help people boost their intuitions. On Tuesday it’s a free call, so come for the fun, and bring a friend, too (send ’em to this page so that they can get their own reminders and replay links, please). As for the training, it’s ready and waiting for you to click the link on the other side of the opt-in below. If you don’t know this for yourself yet (and I’m betting you do), intuition is that thing that SAVES us from our own stupid mistakes. It saves us time, energy, money, EMBARRASSMENT, self-judgment. And it keeps us from being in a state of overwhelm or anxiety. When we’re rocking our intuitions, we KNOW that everything’s on the right track.